Alejo aka “Alex” is originally from Colombia but lives in Chicago. He is 6 years old and speaks both Spanish and English. He has two little brothers who stay at home with his mom because they are not old enough to go to school. Alex’s favorite color is blue and he loves Superman! Alex likes to play video games with his friends and go to the movies. He also likes to make lots of jokes and is always laughing. Alex is the leader of his class and loves to help his classmates. Alex will go up to the lonely kid on the playground and ask to be friends. He will also sit with new friends at lunch. Alex also writes kindness notes to his classmates when they have a bad day. 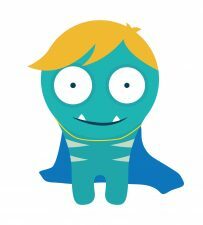 When he was in kindergarten he was teased and bullied, so he decided to embrace his superpower and start being kind to his classmates. Just by his actions, he started a chain reaction. He teacher also taught them about friendship. Alex’s teacher used the friendship curriculum to teach her class to build, maintain, and foster positive friendships. Often kids don’t know how to make and keep friends. 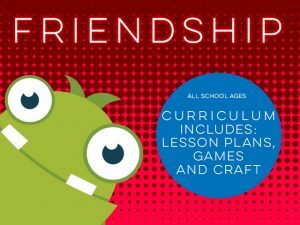 So click on the image below to find out more about our friendship curriculum.